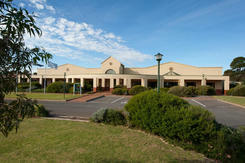 The Aegean Village at Christie Downs was the flagship of St Basil's when it was launched with the support of the Government of South Australia to provide aged care facilities for Adelaide's Southern Vales. In 2018, a $1.5million redevelopment was completed at the Aegean Village to create a brilliant light-filled common area that includes a residents' hair salon and gym; internet lounge, an internal garden and the spectacular Zoi Kafe that is open to the public and can be used for private events too. 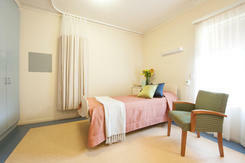 The Aegean Village has over 100 rooms that support all levels and needs of care. The Aegean Village is easily accessed by public transport (bus and train) and the Southern Expressway; it is situated opposite the Noarlunga Colonnades Shopping Centre, the Noarlunga Hospital, Commonwealth and State Government Offices, banking and community facilities. Come for a coffee and experience the lifestyle at the Aegean Village, just minutes from the beach but nestled into a natural hill. The Garden Suites at the Aegean Village each feature a single ergonomic bed and armchair, bedside table, built-in robe and private en suite. 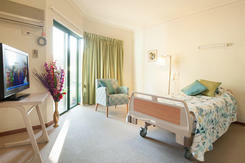 Each room is furnished with contemporary coverings and neutral wall colours and can accommodate many comforts from home. With sliding door access to a communal and secure garden, the Garden Suites combine relatively independent living with 24-hour support. Each companion room features two single ergonomic beds and armchairs, bedside tables, robes and a wall mounted television. Bathrooms and a nurses station are close in proximity. The Standard Rooms at the Aegean Village each feature a single ergonomic bed and armchair, bedside table, robe and a wall mounted television. Bathrooms and a nurses station are in close proximity. The Camellia Rooms at the Aegean Village each feature a single ergonomic bed and armchair, bedside table, built-in robe and private en suite, and direct access to an outdoor paved area. Each room is furnished with contemporary coverings and neutral wall colours and can accommodate many comforts from home. Situated within a wing that accommodates up to 12 residents, the Camellia Rooms combine relatively independent living with 24-hour support. The Orchid Rooms at the Aegean Village each feature a single ergonomic bed and armchair, bedside table, robe and a wall mounted television, with lovely natural light through the day. Bathrooms and a nurses station are in close proximity. The Aegean Village is staffed around the clock with a dedicated team providing nursing and personal care services, an on=site chef, laundry and maintenance crew. Doctors, paramedical practitioners, including podiatrists, and local Chaplains attend the Aegean Village on a regular basis to ensure our residents are able to maintain their best possible physical and spiritual health. Participation in offsite activities is available for residents of the Aegean Village who still maintain mobility. The Lifestyle and Leisure activities incorporate crafts and gentle movement, card games, and myriad other opportunities to spend time with peers or quietly. The Aegean Village also offers expansive outdoor areas that will be accommodating a fully functional edible garden, gardening activities and sitting areas that are also available for family activities. Each room varies slightly in layout to accommodate room access and ergonomic beds, as well as storage and seating options. 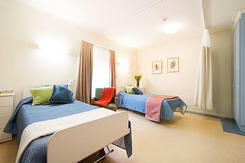 A general layout of a standard room can be requested by contacting our Admissions Manager on 08 7424 0900. 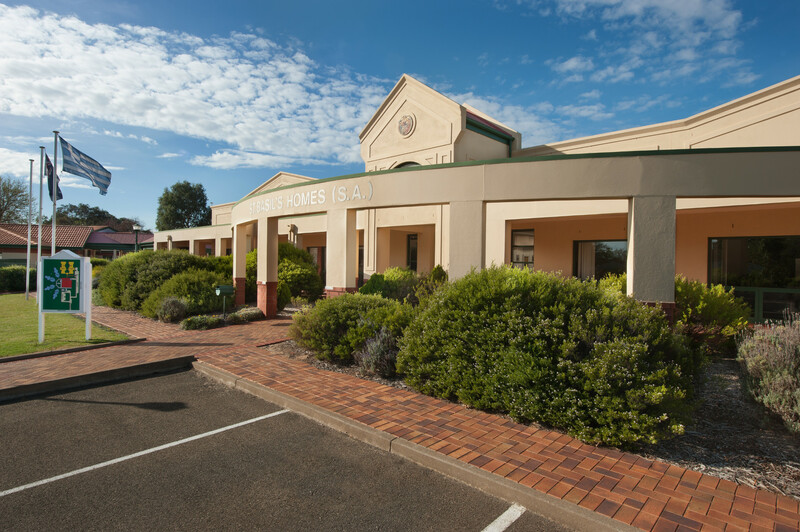 The accommodation fees at St Basil's are determined according to the Federal Government's new pricing structure, which came into effect on 1 July 2014. This pricing structure gives residents a greater choice in selecting how they pay their accommodation: namely by paying in full upfront; paying the equivalent of per day; or a combination thereof; with additional charges for optional services. 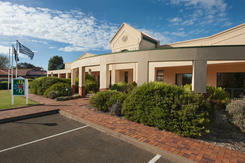 Information about the Government's pricing structure can be found at www.myagedcare.com.au. Fees are subject to change every (6) months. To download the current fee structure for the Aegean Village, please click here. St Basil's issues a daily accommodation update for its three facilities to assist those looking for immediate, unexpected care. Please contact our Admissions Manager on 08 7424 0900 to discuss your urgent and future accommodation needs or to organise a tour of the facility most convenient to you.